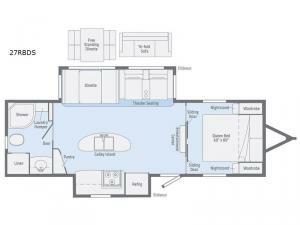 Just imagine all the floor space that the dual slide outs in the main living and kitchen area will offer. You might even choose some optional furniture choices. The full bathroom provides a laundry hamper and linen cabinet for more storage. 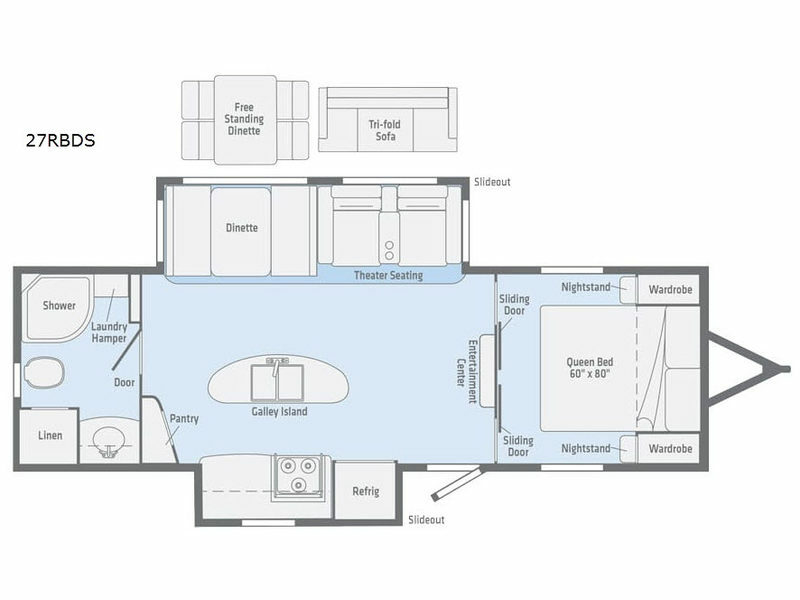 You will love the front master bedroom's storage and space saving sliding doors.And the kitchen offers enough space to entertain other RVers on a rainy day. Stop imagining how you will travel, and start pulling this Minnie Plus behind you!